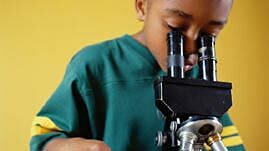 PBS LearningMedia™ is launching a new STEM initiative, “Teaching NGSS Engineering Design Through Media.” This collection offers 40 resources to help bring engineering alive for students. Attending a webinar for PBS stations about the collection, I learned about these media-rich resources and the myths surrounding engineering. To support teachers as they face demanding new standards, PBS LearningMedia and WGBH will host a series of teacher webinars later this month, introducing the Next Generation Science Standards collection and offering advice for incorporating the resources into their classrooms. These free NGSS webinars provide an overview of the standards, engineering concepts, and tips for teaching with the resources from the Teaching NGSS Engineering Design with Media collection. The webinar is presented by Dr. Martha Cyr, Professor and Executive Director of the STEM Education Center at Worcester Polytechnic Institute, where she focuses on helping K-12 teachers and education leaders implement STEM Curriculum. Resources include those from such WGBH series as FETCH!, Design Squad and NOVA and highlight the science and engineering practices of communicating ideas, defining problems, and planning and carrying out investigations. To learn more about this STEM initiative, the experts leading the webinar, and registration, click on the links below. If unable to attend, REGISTER HERE and receive a link to a recording of the webinar that you can watch at your convenience. This entry was posted in Engineering, PBS Resources, Teaching Tools and tagged K-12, Next Generation Science Standards, pbs learningmedia, science, STEM, teacher webinars. Bookmark the permalink.